The year 1948 began without any pomp. The bitter cold of winter had set in. It was barely few months since India had gained independence. Recent partition had left her 2 million children massacred and another 15 million displaced from their ancestral homeland. Delhi alone was accommodating close to a million refugees. The Yamuna was flooded by the tears of survivors and the skies of Delhi had darkened by the grief that oozed from the cramped refugee camps. The slaughter of hundreds of thousands of one’s own tribe, the trains from Lahore that arrived with corpses and the waves upon waves of refugees arriving with bone chilling tales of their ordeals had left the nation numb. Whole villages had been set aflame, people were hacked to death even infants were not spared and about a million women raped. The price for partition and ambition of few was being paid in flesh and blood. He shall wear self-spun khadi. He shall keep a record of his work from day to day. He shall make personal contact with every villager within his jurisdiction. He shall organize the villages so as to make them self-contained and self-supporting through their agriculture and handicrafts. He shall educate the village folk in sanitation and hygiene and take all measures for prevention of ill health and disease in his constituency. He shall organize the education of the village folk. He had also suggested establishing organizations such as Spinners Organization, Village Industry Organization, Talimi Sangh, Harijan Sevak Sangh and Go Seva Sangh to achieve the goal of self-reliant villages. 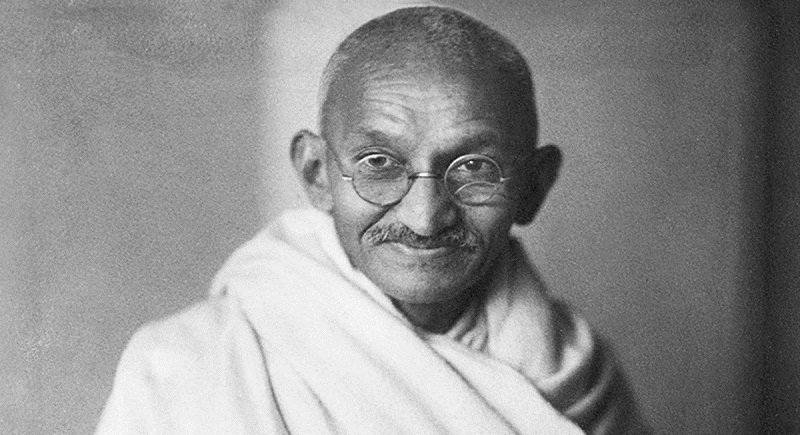 Before Gandhiji could enact his words, before he could disband the Congress, before he could launch the Lok Sevak Sangh, Gandhiji was assassinated. Soon Anti-Brahmin riots engulfed western Maharashtra that eventually left an unknown number of Brahmins dead and many a families homeless. But, fortune it seems, had smiled upon the Congress. With Gandhiji no more, the Congress survived. This coincidence led to many speculations about the beneficiaries of the Mahatma’s death. Cui Bono? To whose benefit it be? Lucius Cassius, regarded by the Roman people as an honest and wise judge, was in the habit of asking, time and again, to whose benefit it be?" The Congress heir apparent assumed the last name of the Mahatma. Slyly, the self-declared first family of India and the Congress party reaped the fruits of the selfless service rendered by Mahatma to the Nation. Swiftly and blatantly the party distanced itself from the commandments of the Mahatma. The simple lifestyle, service to the poor, goseva, clean and self-sufficient villages all went down the drain. The appearance of respecting Gandhiji was built by printing his face on the currency notes and a national holiday on 2nd October. Instead of teaching children to clean school premises, or employees to clean their offices on 2nd October they were taught to take the day off and relax on Gandhiji’s birthday. This was a very lame way to celebrate the Mahatma. A fitting tribute to Gandhiji this 30th January, other than maintaining a two minute silence, would be for the new leaders of Congress, who have been using his last name, to complete the Mahatma’s dream - disband the Congress and become a Lok Sevak.